Schedule Your Duct Cleaning & Sealing Now! The importance of breathing in clean air has never been more important than it is today. We spend most of our time within our homes, as much as 10 hours per day! All of us face a variety of risks to our health as we go about our day to day lives. Driving in cars, flying in planes, engaging in recreational activities, and being exposed to environmental pollutants all pose varying degrees of risk. Some risks are simply unavoidable. The great news is that indoor air pollution is one risk that you can do something about! Cleaning your HVAC ducts is an essential part of living in a healthy home. In addition, leaks in ductwork can draw heat, humidity, dust and pollen into your house from the attic, garage, crawl space or the outside. 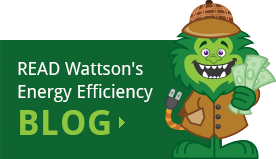 Having Energy Monster properly seal your ducts greatly improves overall efficiency and environmental safety. By reducing the amount of dust, pollen, mold, dander and bacteria in your environment, rest assured that you’re taking a very important step in providing a healthier living space for you and your loved ones. In order for your heating and air conditioning unit to operate at peak efficiency, all ductwork must be sealed, insulated, and balanced. Gas combustion appliances such as water heaters, clothes dryers, furnaces and stoves emit carbon monoxide through their venting system. If you have a leaky duct system, this could cause the carbon monoxide to back draft into your living area. If you have gas combustion appliances, you should have a low level carbon monoxide detector installed in your home. The gas detectors that are bought from the big box stores are typically not low level carbon monoxide detectors. Only a low level carbon monoxide detector will help protect your home and family. Any time that you install new insulation, air sealing, duct sealing, and doors or windows you change the thermal dynamics of your home. When this is done you need to contact a professional to ensure that this change in thermal dynamics has not caused any of your combustion appliances to back-draft. Sealing and insulating your duct system increases the efficiency of your heating and cooling system. 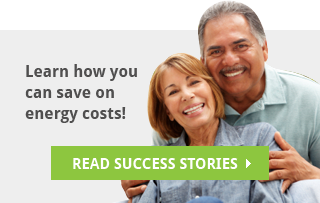 This provides better energy efficiency and in turn lowers your monthly utility bill. 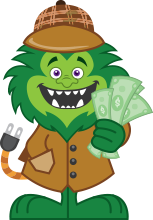 Energy Monster’s Home Energy Advisors are experts in heating, air conditioning, air sealing, insulating and home performance diagnostics. 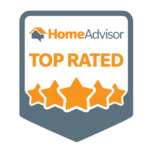 If you live in the Tampa Bay area, give us a call today to make your home a safer, healthier, more comfortable and affordable home. Schedule Your Duct Cleaning and Sealing Today!